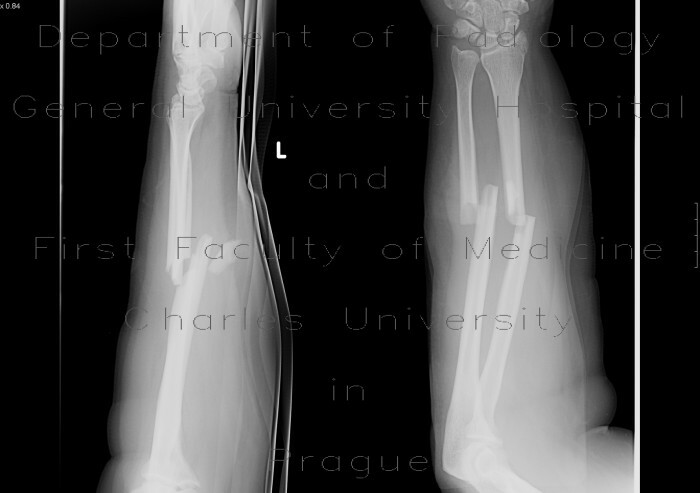 Fracture of middle third of both forearm bones with ulnar and dorsal displacement and angulation. Probably fracture of radial styloid process (?) - not in focus.